Zambia : Has the Law Association of Zambia finally been captured? Home Columns Has the Law Association of Zambia finally been captured? Has the Law Association of Zambia finally been captured? Until recently, the Law Association of Zambia (LAZ) has been a rare bright spot amid Zambia’s increasingly inactive and ineffective civil society movement. Under the leadership of Linda Kasonde, the association’s first female President, who chose not to seek re-election when her first term in office expired in April this year, LAZ exerted every effort to fulfil its legal mandate of defending the rule of law, protecting our country’s Constitution, and proactively using the law as a shield for the weak and the ordinary citizen and not as a sword for the elite and those in power. This naturally brought LAZ into conflict with the government and members of the ruling Patriotic Front (PF) such as President Edgar Lungu, who has demonstrated little regard for the rule of law, especially when it gets in the way of his personal ambitions. Throughout their two-year tenure, Kasonde and her colleagues in the previous LAZ executive were subject to a constant barrage of baseless and hostile attacks from PF partisans, who viewed the association as an opponent and generally regarded its resolute defence for constitutionalism, social justice and democratic principles as a political crime. Because of the PF’s inability to respond to criticism with argument and reason, there were even spiteful attempts by lawyers aligned to the ruling party such as Kelvin Bwalya Fube and Tutwa Ngulube to oust Kasonde’s executive and amend the statute that established LAZ, all in a short-sighted attempt to nullify the association’s check on power. Other efforts, less public, focussed on simply taking over the association by way of capturing its leadership or advancing PF supporters to lead or run the body and rendering it ineffective. I regret that this latter effort appears to have now succeeded, as can clearly be seen in the lacklustre and shameful statement issued by the new LAZ executive last week on Lungu’s purported land ‘gift’ in eSwatini, formerly Swaziland. It would appear that like many other civil society organisations, the law association has finally fallen into line or been captured by the PF. Zambians should be aware of the character and greatly changed nature of the new LAZ executive, from whom little that is in the public interest should be expected in the future. Many people and institutions have highlighted the flaws of the statement that LAZ issued on the purported land ‘gift’ and noted the lack of precision and clarity of its legal argument that were characteristic of the association’s statements under the previous executive. It is not my intention to repeat or restate these arguments. What I seek to do here is to provide an understanding of the vested interests that permeate the new LAZ executive within which the recent statement, or a future one, is better understood. To recap: in April this year, paid-up members of the Law Association of Zambia elected at their Annual General Meeting a 16-member executive to replace the Kasonde-led Council. The new office bearers include Eddie Kalela Mwitwa (President), Andrew Musenga Musukwa (Vice-President), Mwenya Andrew Mukupa (Secretary) and Milingo Lungu (Treasurer). The rest are ordinary Council members and these are Gertrude Musyani, Priscilla Bwembya, James Mataliro, Friday Besa, Gilbert Chama, Ngosa Simachela, Mutumu Nzala Mwape, Chishimba Kaela, Chileshe Matilda Kaoma, Nkusuwila Nachalwe-Mbao, Peter Sokwani Chilembo and Lungisani Zulu. Half of those elected recently served in the previous executive, so one should ordinarily anticipate continuity in the strategies and policies of the association. Unfortunately, this is unlikely to be the case as the new executive is home to individuals with strong partisan interests. There appears to be three factions within the new LAZ Council. The first comprises those supporting the PF and holding positions both in the ruling party and LAZ. A few members of this faction were present even in the previous executive, but the most recent elections in April saw them ascending to influential positions. The extent of their partisanship has not previously been made apparent, not least because they appear to think few would expose their political leanings. Take the case of Milingo Lungu, the new Treasurer of LAZ, for instance. Milingo Lungu has not publicly disclosed that he is also the current deputy chairperson for legal affairs in the PF. One would imagine that this is a clear conflict of interest that should have been disclosed, especially in the wake of his election to the LAZ executive, so that his colleagues and the nation at large are not misled into believing that he is an impartial member of the new Council. The fact that he found no reason to do so suggests that Milingo Lungu may have gone into the LAZ Council to advance the agenda or interests of his party. What is more disturbing is that the new LAZ Treasurer is one of the lawyers representing the petitioners in the case relating to President Lungu’s eligibility to stand again in the 2021 elections, which is currently before the Constitutional Court. When the case came up for pre-ruling final arguments on 7 May this year, Milingo Lungu, rather than declaring interest, appeared before the ConCourt at a time when he was already the LAZ Treasurer, arguing that President Lungu is eligible to seek another term of office. His position, one that arguably amounts to professional misconduct, clearly contradicts that of LAZ, which is part to the case (the association is represented by John Sangwa) and seeking a counter declaration. How can a Council member act against the interests of an institution he is elected to further? This example shows the difficulty that awaits members of this faction, especially on cases that affect the PF or the executive arm of government. Most importantly, Milingo Lungu’s dual membership undermines the credibility of the new LAZ executive. In the absence of clear information to the contrary, the public is likely to view Milingo Lungu as potentially representative of a group of PF supporters who are now the dominant force in the new LAZ executive and who will act in a concerted manner to advance the interests of the ruling elites and undermine potential legal cases against the government. The second faction on the new LAZ Council consists of those who have close links with State House. 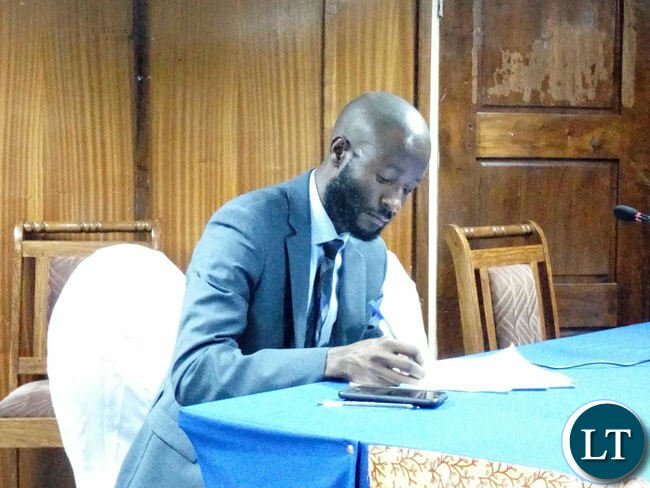 The most notable members of this faction, which is not as organised as the first one, is Mwenya Mukupa, the new LAZ Secretary and Andrew Musukwa, the Vice-President. Mukupa and Musukwa enjoy a close relationship with President Lungu’s Special Assistant for Legal Affairs, Sukwana Lukangaba, who is also a lawyer. The LAZ Secretary and Lungu’s legal advisor even holiday together. Can Mukupa or the LAZ Vice-President take a principled stand on legal issues that might affect the political interests of their presidential advisor friend or will they and others like them attempt to frustrate those cases and protect their ally and effectively the President? The third faction comprises those who are, for whatever reason, apolitical. Among these are Eddie Mwitwa, the President and several ordinary Council members. As earlier pointed out, the latest LAZ executive is not entirely a new one. Many members sat on the previous executive, but sources within LAZ revealed that some were not among those who pushed resolutely for the association to take a principled stand on legal issues that affect the group. Members of this group take a studied disinterest in cases they deem to be political, especially those that affect the executive branch of government. Some within this ‘disinterested’ faction, one that is arguably the most dangerous, may be apolitical simply because they seek to stay on ‘the right side’ of government. Others likely have their eye on future appointments as judges, who are of course appointed by the President. Like many at the Human Rights Commission, they may be calculating that if Lungu is successful in his bid to extend presidential term limits, he may be in power until at least 2026 and would not appoint someone who had publicly opposed him. To enhance their career prospects, affected members of this faction may have decided to remain ‘apolitical’. The net result of this factionalism within LAZ is a weak and polarised executive that is only capable of issuing statements that are as vague as the one on the eSwatini land ‘gift’. If there is anything that the public should learn from that statement, it is that we should expect little from the new LAZ executive in the future, and Zambia is poorer for this. It is instructive that criticism of LAZ from PF-aligned lawyers has fallen silent since the election of the new executive. Essentially, they have got what they wanted, for LAZ has effectively laid down its shield and appears to be willing to discard or compromise its stated values of integrity, honour and justice. The association has been transformed and, because of its shameful statement on the controversial land ‘gift’, is now likely to be seen by many Zambians as a supporter of the government. As a result, future statements from LAZ will most likely be treated with extreme scepticism. They are unlikely to represent an informed legal perspective in the eyes of many members of the public, but rather a careful defence of the executive arm of government, couched in legal terminology. It is highly revealing that, as did the editors of News Diggers, I received copies of the LAZ statement on the eSwatini issue long before it was officially released. This did not come from any source within LAZ but from different PF supporters, effectively making it evident where power lies now. Can the new LAZ executive redeem itself or recover from the devastating setback of its vague statement on the eSwantini land ‘gift’? Only time will tell. What is apparent for now is that without an effective and independent LAZ, the public is left almost defenceless. The net result of this factionalism within LAZ is a weak and polarised executive that is only capable of issuing statements that are as vague as the one on the eSwatini land ‘gift’…. Zambians, wake up and realise that there is no one fighting for our cause. Not the government, not the opposition, not LAZ, not concourt, and certainly not the Chinese. Nada! They are all vultures after our assets, one way or the other. It is up to us to look after our destiny and safe guard the future of our children. Fair comment by a young scholar taking public intellectualism to a new level. Not that the LAZ executive will even bother to engage SS. The same way you are feeling thats the same way the PF were feeling with the Linda Kasonde Executive which was pro UPND.The solution is professionals should uphold integrity. The Linda Kasonde executive was clearly compromised against the ruling party may be thats why a pro ‘PF LAZ members’ fought to take over LAZ. So support them the same way you supported the previous executive. Failure to which you will be exposing yourself Doc as a person who does not like the current government regardless of what good they may do.People like you are suppose to be mediators in many conflicts of this nation but your tone of your comments and write ups sound anti – Edgar Lungu or PF. And thats how we keep losing brains to help this nation. Dominion: Not one person in the Linda Kasonde-led executive held political party office. Linda’s family member is married to someone strongly connected to HH and Upnd. I dare anyone to challenge this. Who is leading in Chilanga kanshi? Thank you for enlightening us Dr Sishuwa. I had no idea the PF had infiltrated LAZ that much. You are right, they changed strategy from forming another association or removing Kasonde to putting their people on the executive. It’s very sad for LAZ and the Zambian people. And the fourth faction is aligned to h.h and upnd, or am putting words in your mouth, Sishuwa? Otherwise article is essentially rubbish like the author. Not worth my comment. Early reports suggest PF has scooped Chilanga right under upnd’s nose!! The new LAZ president just misled the nation about president Lungu receeiving eSwant plot when on official duties. The new LAZ president has distinguished himself on this one hence no Zambia could have confidence in such a compromised learned council. Linda Kasonde could not issue such a careless statement because she did not only issue statements based on law but she had good reasoning and excellent approaches to issues of public interest. We have a problematic LAZ and we expect being misled even worse than this by these PF/LAZ team. Its this man again!!! Sishuwa Sishuwa what’s your agenda? If your motive is to put Zambia on fire it wont work. The devil is a liar. If you think HH will be president and he has promised you a job at state house just forget it because it will take a 100 years for a tonga/lozi person to rule this great nation. The PF is doing a great job under his excellency ECL. @Bo whatever – this reasoning was not there even in the years 100 BC. Very bad reasoning. Very backward to say the least. Looking at the narrow margin of the election results, if UPND had filed in a morally upright person, they would have undoubtedly won the elections. Anyway, such is life. Congrats to PF!!! Sishuwa Sishuwa your article is highly biased and speculative. Just enjoy being a UPND carder. I am sure Chilanga is chocking you. Dr Sishuwa Sishuwa’s head looks like pilato’s left testicle. Member of the HaTribes Association of Zambia and Galu Watchers in Zambia also known as Galu Watchers Zambia Ltd.